Thank you to the Youth Ambassadors ! A student from D'Arcy McGee/Symmes in Gatineau Québec sends this video to the i2P Youth Ambassadors! i2P Team Tunisia would like to thank once again participating students, schools and everyone who followed the expedition live on our website! Without you our work would not be possible! We are extremely proud to announce that $4,768.22 was raised for Ryan's Well and $11,372.84 was raised for Giving Water. Fundraising continues for both water projects. Below are the videos taken by the Youth Ambassadors during the expedition. You can check out more videos and photos in the archive. A visit to Matmata ! 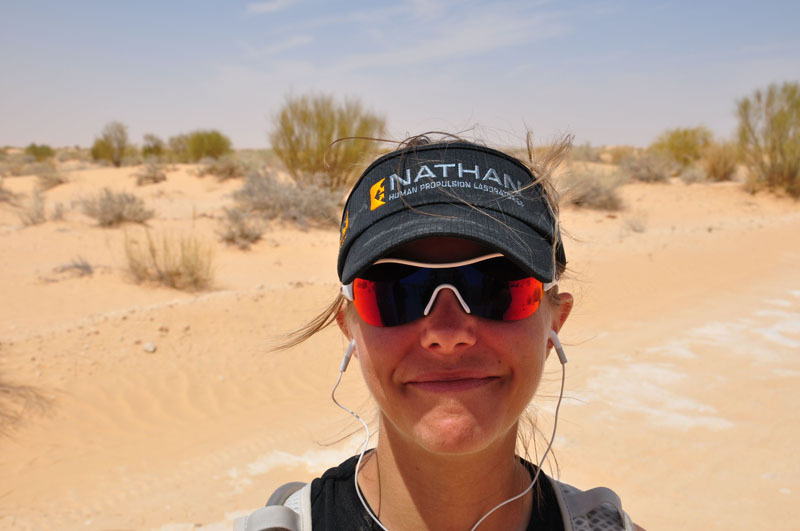 Yesterday the runners ran the last few kms into Matmata as a celebration of their awesome achievement- running 265 kms across Tunisian Sahara, and communicating their adventure to thousands of students all over. Mohammed Ixa, Rhidha, and the rest of the logistics team made this adventure so incredible for our Youth Ambassadors. 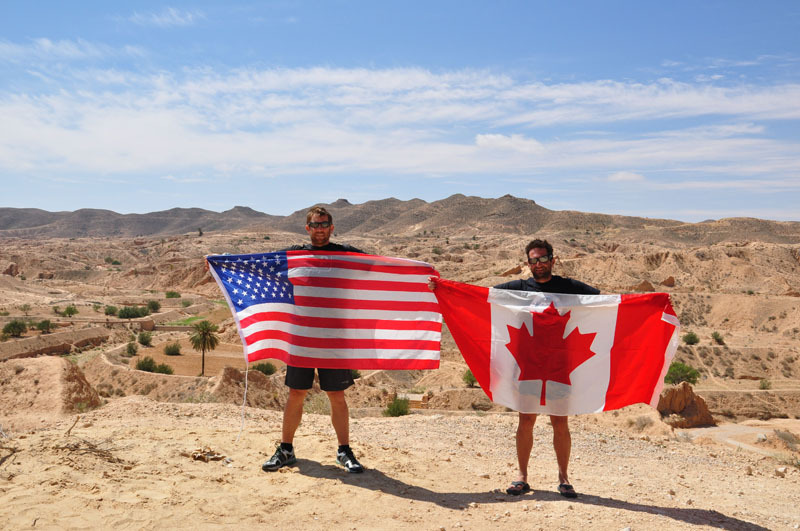 Nick, Mark and Kat continue to post content and share the story of RunningTunisia all over- including our website, Facebook and Twitter. The Youth Ambassadors visited Matmata and stayed the night underground in a Troglodyte dwelling...cool ! They continue to answer questions from all over in the Q and A section. Keep following as we update you on our visit to Tunis !!! Below are some photos from Day 8 and the finish line! Jill here! We have now completed our run and are in Tunis for a day before we head back to North America. Just wanted to let you know the final total of kilometres that we ran over the past eight days, as the tracker was not on for all of our running. 268 km!!! We averaged just under a marathon per day and are very happy with our eight day total! 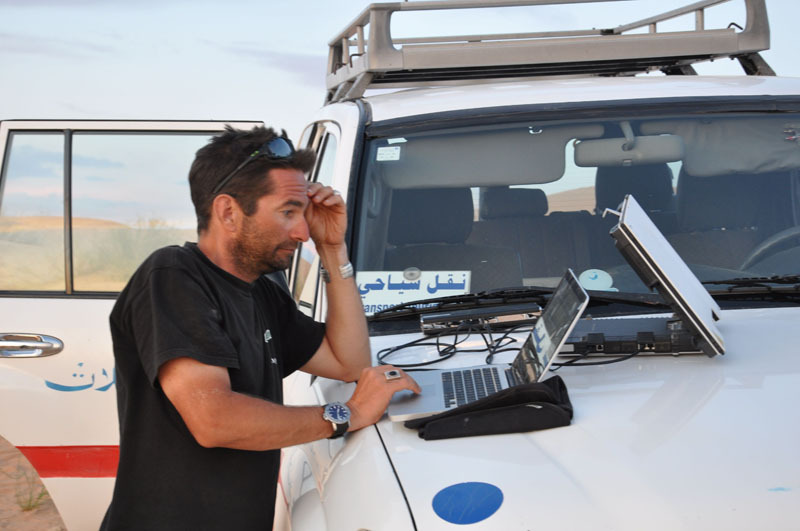 Every day Andy was in charge of tracking our mileage with a GPS, which not only tracked our mileage, but also helped us keep a steady pace. Check out our Epic Tracker map to see the way we snaked our way across the desert, hitting as many dunes as Ridha could find! Keep checking the website for updates! Although the tracker is now off, we will still be posting blogs and videos! 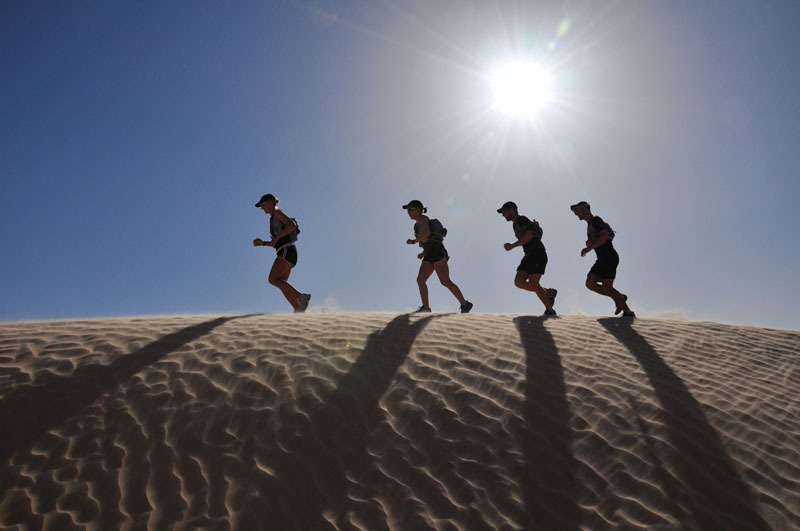 Today is the last day of running for our Youth Ambassadors, they will finish their epic run in the Tunisian Sahara with a 12 km ceremonial finish run near the city Matmata. I will be waiting for them at the city limits with the i2P banner- totally pumped to see them complete their journey. 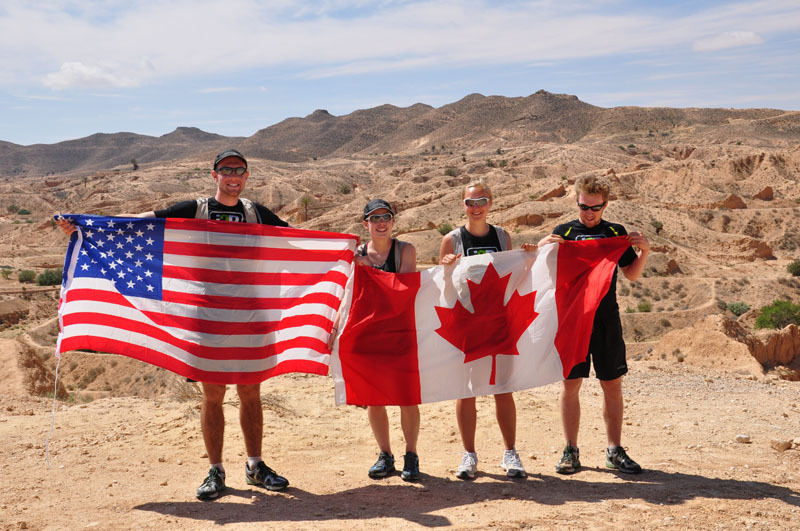 As with the Baffin Island expedition, these youth adventurers have inspired not only us, but thousands of students and people around the world. Kath, John, Doc, Marshall, and of course my adopted bro Bob all were here again for this Youth Expedition, and made everything work so well. The participating students and schools- thank you so-o-o much. Without you we have no expedition. Fundraising continues for the water projects, and we will announce the results in the coming weeks. I am not saying goodbye just yet- we still have several blogs to come from Tunisia as the Youth Ambassadors visit Tunis and Matmata. Keep reading, and thank you for participating ! The running today was pretty tough. We ran over unvarying terrain: small sand dunes with grasses interspersed, flat as a pancake except for the dunes. It was quite hot and the footing was difficult so we didn't really talk at all for the first 25 km because we were so tired. 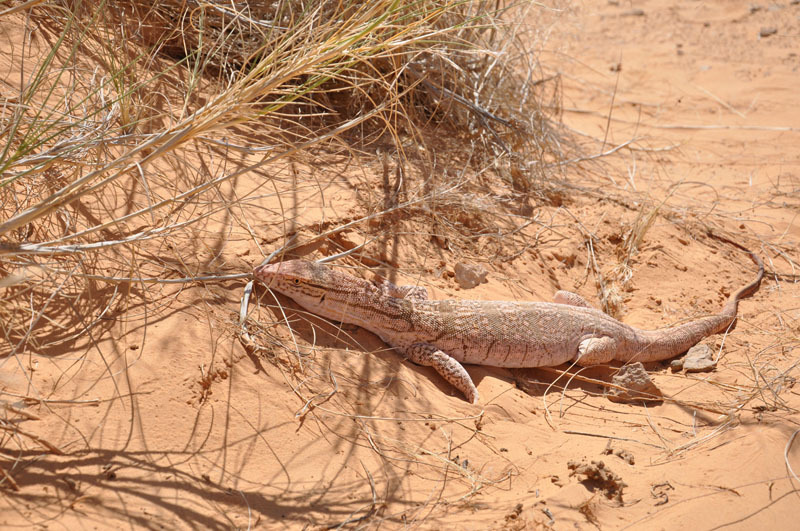 We did, however, find a lizard that was about 2 feet long, and we saw a camel spider. 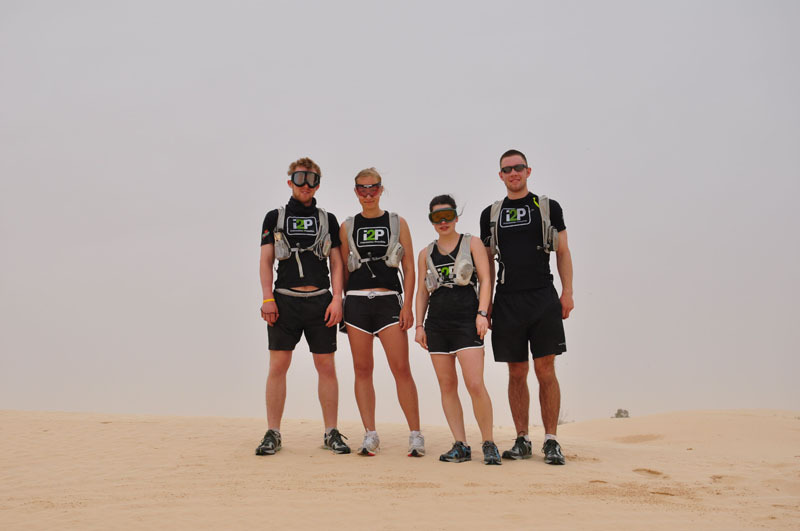 Today we reached our original goal of running 250 km in the Sahara Desert! For lunch we had a potato and vegetable salad instead of our normal tuna and tomato sandwiches, so that was a nice change-up. Kajsa's knee was really bothering her and we didn't want her to really hurt herself... and I think all of us were glad to be done early. We realized how dirty we are today, with Jill's hair turning into dreadlocks from the filth and everyone looking forward to the prospect of getting the sand off of our bodies via a shower tomorrow night. The guys are excited for a shave with a straight razor when we get to Tunis, and the gals are ready to get rid of their manly armpit and leg hair. Tomorrow we're planning a celebratory short run of around 12 km to bring our total to 275 km. Following our run tomorrow we're going to relax in the city of underground houses, Matmata, where the bar from Star Wars and the inside of Luke Skywalker's childhood home supposedly are. It'll be nice to get a chance to check out the culture of Tunisia rather than just the sand. Day 7 - Youth Ambassadors ! Day 7 - I see you! This expedition has been a mix of pushing our physical and mental limits, learning more about water and learning more about each other and ourselves. It has been an incredible experience that has definitely changed the lives of all of us Youth Ambassadors. Our sixth day began with Connor crawling out of his tent covered in blood. The previous night wasn't the best for him as he woke up in the middle of the night with a blistering headache, sore throat, congested nose, stomach cramps and a bloody nose. Luckily Doc was there to save the day! 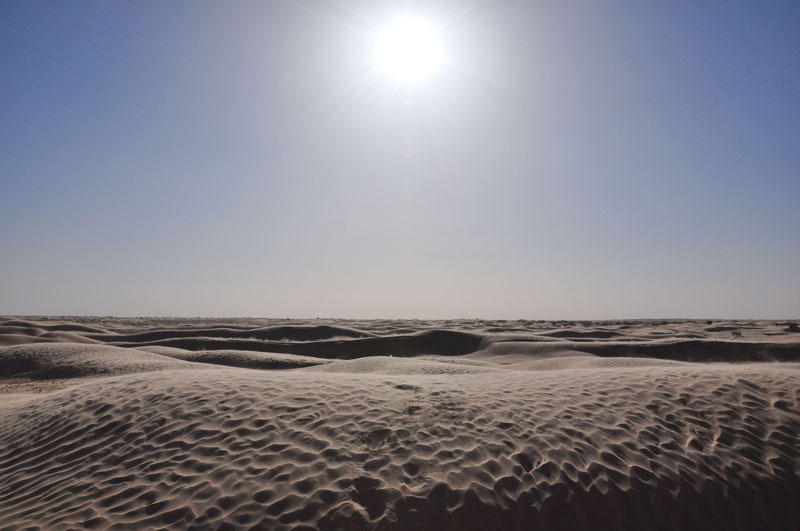 It was likely just because of the dry air and incredible amount of sand ingested the previous day in the dunes. After breakfast, we all headed out on our run, and could really feel the aches and pains of the past 196 km. We were really pushing our limits and decided to stop for lunch at 25 km. After a delicious lunch and a quick nap, we threw our shoes back on and pushed for another 10 km to camp. We kept busy by singing songs, reciting poetry, talking about our favorite ice cream, movies, books and everything in between. Not only was it a great way to get to know one another more, but it kept our minds off the pain. 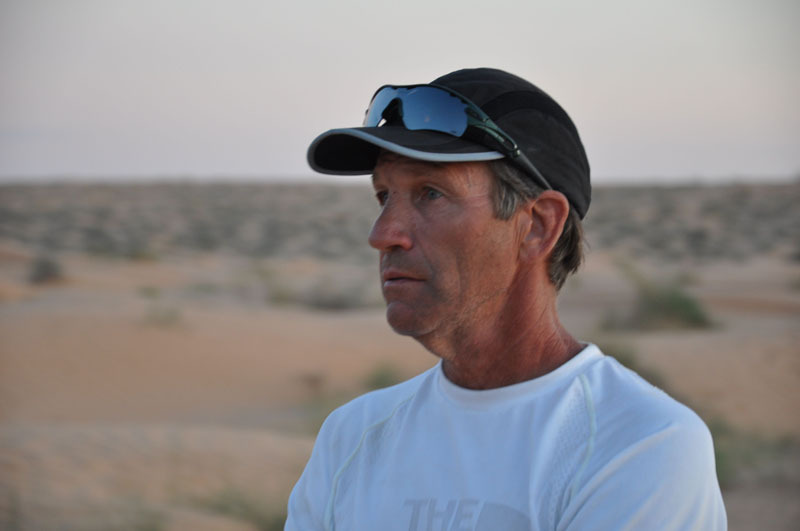 The last 5 km of the day was extremely challenging as the road we were running on was very loose sand and our muscles were really starting to fall apart. We made it to camp just as the wind began to really pick up, set up our tents, and finally got some time to relax! Two more days left of running! As painful as this expedition is, we're loving every minute of it !!! An amazing trip! 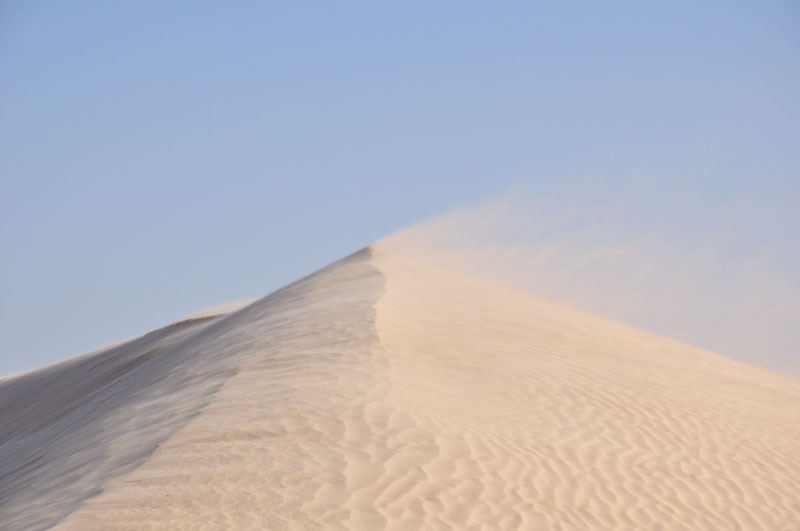 I write sitting on a dune as the sand of the Sahara forms a fine dust on my computer. Kajsa, Conner, Andy, Jill and the team have been running extremely well. A total of 230 km as of this evening. Once we set up camp for the night we have been talking about water issues as we eat supper. Last night we discussed how people around the world find water (see module 10). Mohamed Ixa, one of our team members from Niger explained that in his country there are individuals that have the power to divine or find water. This power is handed down through the paternal line, from father to son. 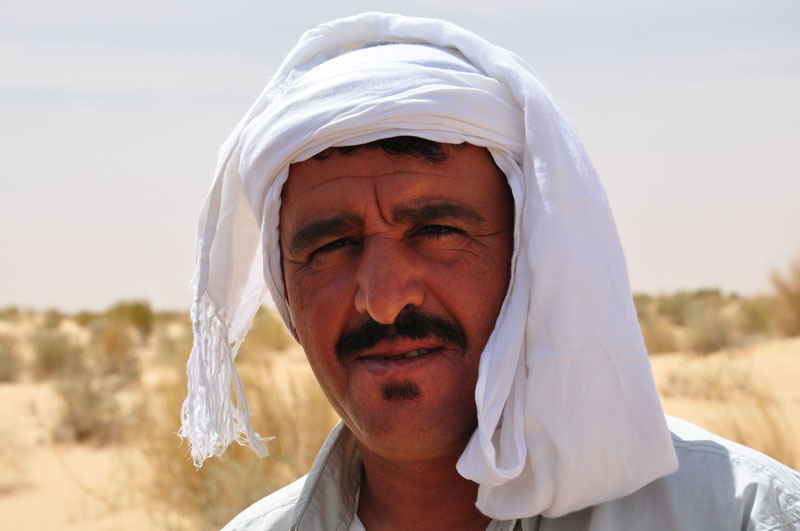 Arida, one of out Tunisian expedition members who is a nomad explained that his people enlist the wisdom of animals to find water. They follow camel tracks to sources of water. He explained that camels can “smell” water. Often the camels lead them to a dry river bed were the can of dig down into the soil to find water, sometimes just a few feet down, sometimes 30 meters deep. Tonight we will discuss why water is essential to life as we eat our wonderful Tunisian food. Due to technical difficulties, we were unable to provide a text blog for Day 4. The issue has been resolved; below is the blog for Day 4. Today was brutal, but also the most interesting day we've had. 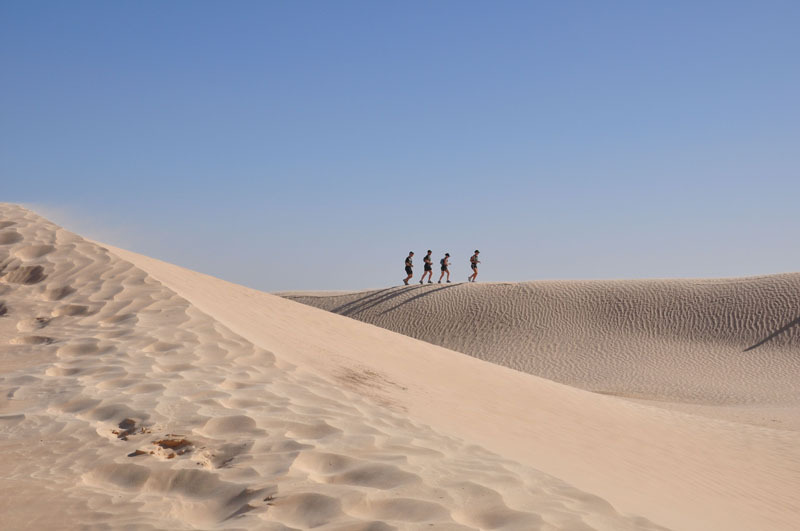 Not only did we run over 25 miles (40 km) in 90oF (35 oC) heat, much of it was running over a sea of sand dunes. We also witnessed several examples of how vital water is to life, beginning with a flourishing oasis complete with date trees, fields of wheat, livestock, and locals. We then witnessed hot springs and accompanying tower that utilized wind to cool the water that was then sent via aqueduct to the surrounding oasis and greenhouses, where vegetables such as tomatoes and potatoes are grown and distributed to the people. 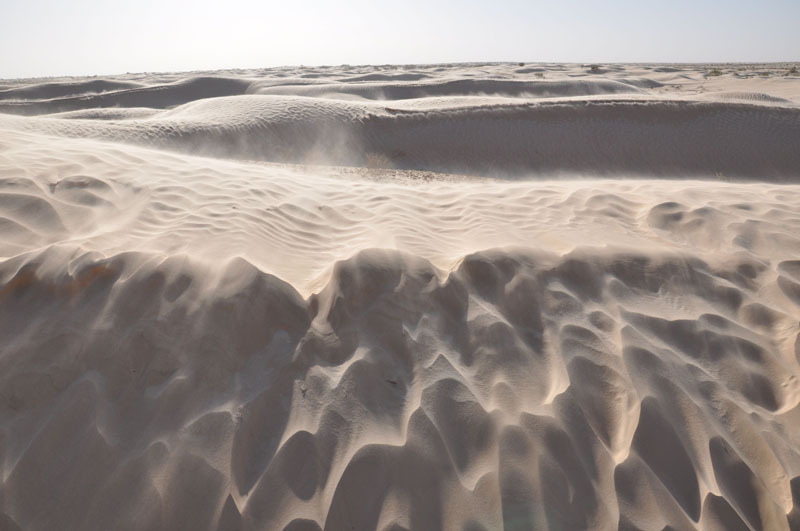 The scene changed drastically as we entered an ocean of massive sand dunes. We soon came upon the remains of a village that was once a flourishing oasis but the well ran dry in 1925 and the desert claimed the land. The next three hours were spent following Arrida through the dunes, which he somehow navigated without the aid of a GPS... we would've been hopelessly lost without him. 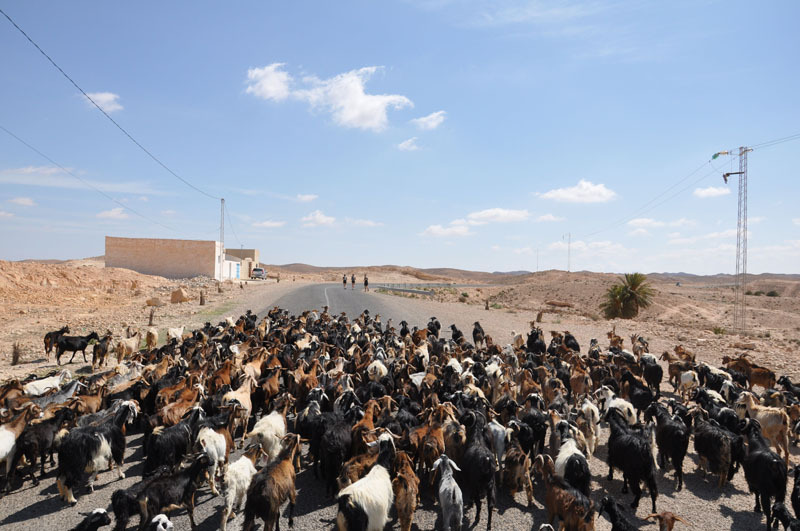 At one point we came upon a small oasis where a few shepherds kept their flock of sheep and goats. There we were shown how water is drawn from a well, with the accompanying song that the nomads sing to get their minds off the hard work, and Connor and Andy pulled up a bucket of water out of the well. We pushed hard to get 18 miles (30 km) in before we stopped for lunch, and the effort took its toll on our bodies. We had lunch and relaxed for almost two hours to beat the heat of the day according to Mohammed's suggestion. After lunch we were quite exhausted, but managed another 6 miles (10 km) to get to our camp in the sand dunes. Just had a great call with the students and got excited for tomorrow and our next call on Friday!